The Golem is the tankiest card in the game. It has around 3,150 hit points at level one and goes up to 6,079 hp at max level (8). Not only it has the highest hit points but also have the ability to split itself to two golemites, which extends its life to deal and deal damage. Being the highest hit points in the game, even surpassing the King’s Tower’s health at level 13, it has a high elixir cost to keep it balanced. An elixir of 8 and 3 sec deploy time makes this rock solid troop a strong and scary troop. If your opponent doesn’t have the right cards and appropriate strategy, they’ll definitely get wrecked by this titan. So, how do you actually build a deck for Golem? It could be simple. Just follow up any damaging troop to add as a support/offensive ally. Just place it in the back line and your Golem will secure you with his enormous health. But you have to consider one thing, you have to make sure is that the deck you’re building is well rounded. There are different decks out there that are proven strong and effective. You must know how to counter them and that is what is all about in making your deck. Lets talk about the Golem’s main weaknesses, first. Top of our list is the famous tank killing building, Inferno tower. Inferno tower is the best card to beat the Golem. However, because of the Golem’s high health and splitting after death, you can survive the Inferno tower’s damage with the right cards and strategy. 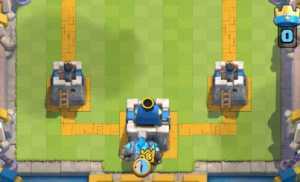 Second, any buildings can distract the Golem to get to your opponents Arena Tower. It will delay your Golem and will take unnecessary damage from your opponents defense. Since it has a very slow movement speed, he will take a lot of damage and can be killed before reaching the tower. Third, Valkyrie and Fireball. The biggest strength of the Golem deck lies within their powerful supportive troop in the back line. If it can be one shot by the Fireball or get killed easily by the Valkyrie, you’re going to have a hard time pushing. Lastly, any swarm troop can hit the Golem hard because of it’s slow movement speed and unable to target troop units. Barbarians and Minion Hordes are the most important swarm troop that you need to pay attention to because they can deal lots of damage to the Golem. So, why choose a Golem card for your deck? Mainly because, the Golem is just an awesome card to use. The Golem can be very intimidating for your opponents who doesn’t have the right cards/strategy to counter it. It offers you an enormous hit points that not even the Lava Hound could offer. Plus, it is very fun to play with it’s excitingly strong push. Now that we know the main threats to our Golem, let’s start building our deck. effective since the damage that occurs once the Holem explodes can kill low hit point troops in the area especially the Skeleton Army, Skeletons, Goblins, and Spear Goblins if they’re close enough to the Golem. Aside from that, you can follow up with a spell like, Fireball, Zap and Arrows, whenever you can target many troops in the area of effect. Giving you the upper hand in the elixir trade. The card that we can add to the Golem deck is a Spell card. Now that we have our second card in our Golem Deck, the next card should be a supportive troop. Ideally a splash attacking troop that will extend the life our Golem. 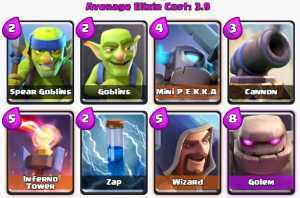 You can choose from a Bomb Skeleton, Wizard, Ice Wizard, Princess, Witch, or even the Valkyrie or Dark Prince as a supportive splash attacking troop. First, the Wizard is the best one to use because it is the strongest counter to Barbarians and Minion Hordes easily. However, it has a high cost of 5 elixir. 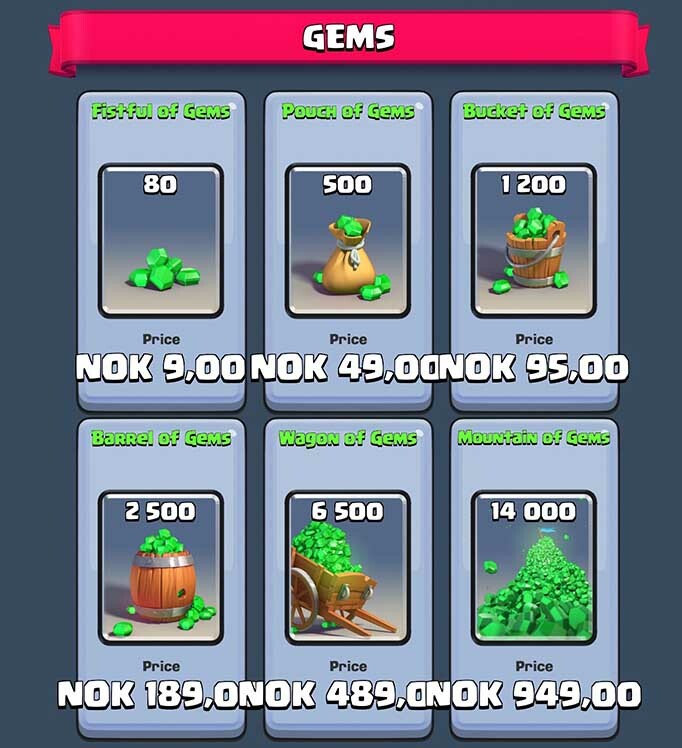 As a Golem user, 5 elixir is already a high cost due to the 8 elixir needed to deploy a Golem. You have to wait a bit more and can be risky when your opponent decides to attack the opposite lane. Second, the Princess is a great card, too. It is one of the strongest card in the game because of its cheap elixir cost of 3 and amazing range of 9-tiles. It can safely attack both air and ground units in a distance, killing potential threat to any swarm units like Minion Hordes and Barbarians. Third, the Ice Wizard. Another cheap elixir cost of 3 and can deal damage and slow the enemy swarm troop. It’s low cost is enough to follow up another card to support your push. Now that we have a supportive card, it’s time to have an offensive card. Though the supportive card can be offensive as well, there are moments when you don’t need to wait for your Golem to go for an offense. Especially when you don’t get the right card combination in your hand deck, yet. 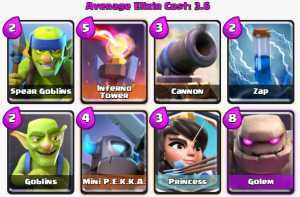 Possible offensive cards can be the Prince, Dark Prince, Mini Pekka, Musketeer, Wizard, Valkyrie and etc. These are the cards to use when the Golem is unavailable to set an attack. You can also use these cards to split push your opponents when they invest in too much defense in your Golem’s lane. This can be a surprise card that they wouldn’t expect.They’ll be caught off guard when they got no cards left to counter it. Another important card to add is a swarm troop. It will be your basic card used mainly for distracting enemy troops, defending and sometimes, it is the troop that survives and manages to destroy the Arena Tower with a low health Golemites. These swarm troops can be the Goblins, Skeletons, and Spear Goblins. I’m not going to consider other swarm troops because they have much higher elixir cost. Finally, you must have building cards. Its quite obvious that a good deck must consist of one or two buildings. 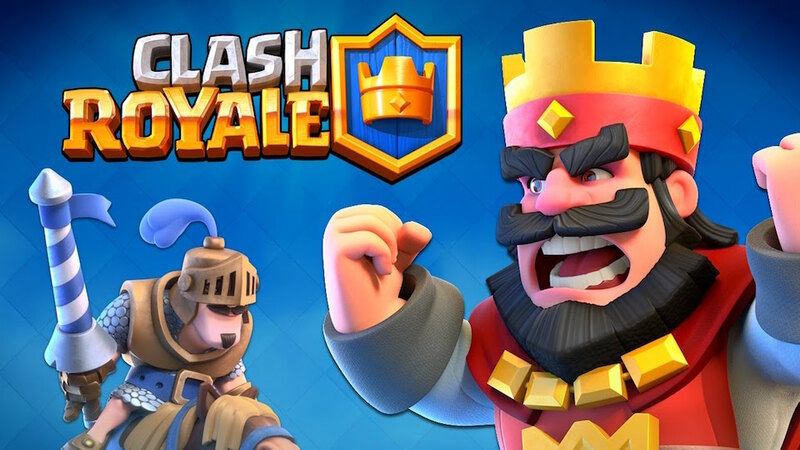 With the presence of Hog Riders and Royal Giants in higher arenas, it is a commo card used offensively in the game, you have to play defensively against them and only having building cards will prevent them from damaging your Towers, effortlessly. The Cannon is the basic defensive building counter to the Hog Rider. But you can choose to have Bomb tower or Inferno tower as an additional option. Also, the Elixir Collector is actually not mandatory in a Golem deck, unlike popular belief because of its high elixir cost. Because of the collector’s lower hit points, it’s not a good defensive card against the Royal Giant and Hog Rider. Unless you choose to have another defensive building, the Elixir Collector can still be a useful card to use if you prefer. Using the Golem is punishable in the elixir cost. If you impatiently used the Golem just as your elixir gained 8, it will leave your towers defenseless, free from incoming attacks because of an empty elixir. Waiting for the 10 elixir mark before deploying your golem is important. Either you can wait for your opponent to deploy cards first and counter it or have at least 2 elixir to prepare for a counter attack if your opponent chooes to attack the opposite lane. Basically, I only place my golem in 3 positions. One, in the farthest area behind the king’s tower. Two, in front/Middle of the Arena Tower and Three, in the bridge near the river. When there is no efficient threat in your opponent and no one is placing their cards yet, you can place your golem in the farthest area and prepare to go defensive until you have enough back up troop behind the golem. Next, I only place the golem in the middle or in front of the arena tower when I got no good cards available and the troops are just low hit points like archers, goblins, etc. The Arena Tower will take care of them while the Golem tanks the small damage. Afterwards, follow up with a offensive troop behind the golem to push. Lastly, I only put the Golem in the river side in the bridge when I go full attack and I have another golem available. 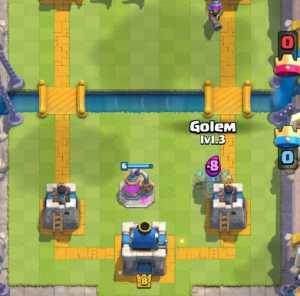 Unless you find your troops losing the push, I don’t put the Golem in front near the bridge because it will be useless to deploy the Golem alone. It’s not effective to use the Golem as a split pusher because of its slow movement speed and low damage. By the time the Golem arrives at the Arena Tower alone, your opponent will have enough elixir to defend it. There’s a saying that a good defense is the best offense. And that quote suites well with the play style of the Golem Deck. You just have to be patient and play defensive before going full offense. You have to keep defending until you have the right cards available in your hand to play. Remember that we discussed the Golem’s weaknesses early on. If they place immediately the Inferno Tower, deploy your Goblins or Minions to follow up with the Golem. 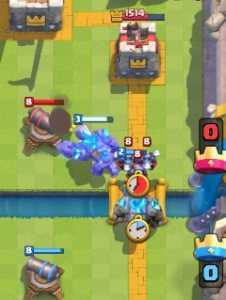 If the Inferno Tower targets the Golem first, Zap it so it will change target to the closer troop. Also watch out for swarm troops as it is usually used to counter the Golem. 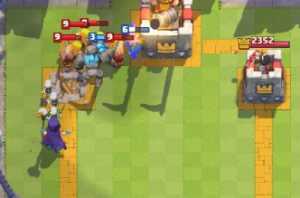 Prepare your Wizard at the back or your Arrows Spell for unexpected Minion Hordes and Skeleton Army. Always practice your strategy by keep playing your chosen Golem deck. You’re going to fight different decks from time to time and will lose and win some. If you find some card that counters your Golem deck, think of ways how to counter it. Experiment with different troops and buildings and always play defensively. Eventually, you’ll get used to the play style right and easily predict your opponents next move by watching their cards. 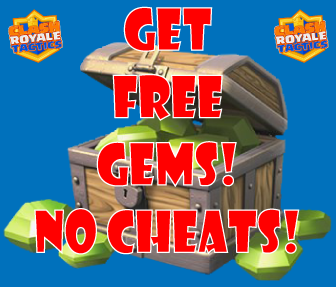 Go and make your opponents cry when they become helpless with your Golem! Have fun and have a great game! Why not put a tank card in front of the golem like a hog rider? I have no legendery . I am waiting for 2 year please give me legendary card . 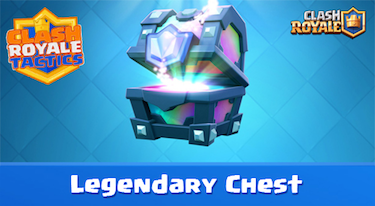 clash royale is best game in the world. Try it is a good Crown push Deck!!!! Thank you for this great article! Which of these decks have you found to be the best? I have lvl 10 barbarians and bombers, so may have a hard time switching those out. Any thoughts? 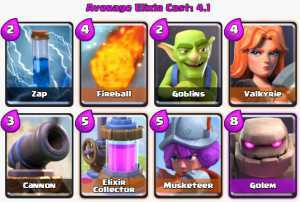 How do you feel about spawner buildings (tombstone, goblin hut, furnace) and poison in Golem decks? It can work, too! But it can be hard to set up early especially if your opponent has an aggressive deck/playstyle. Spawner buildings shines great in the sudden death timer when elixir generates 2x faster. If you can play defensively in the early stage of the game, most likely you’ll win in the last minute mark.